Forms are due no later than January 31st, 2019. 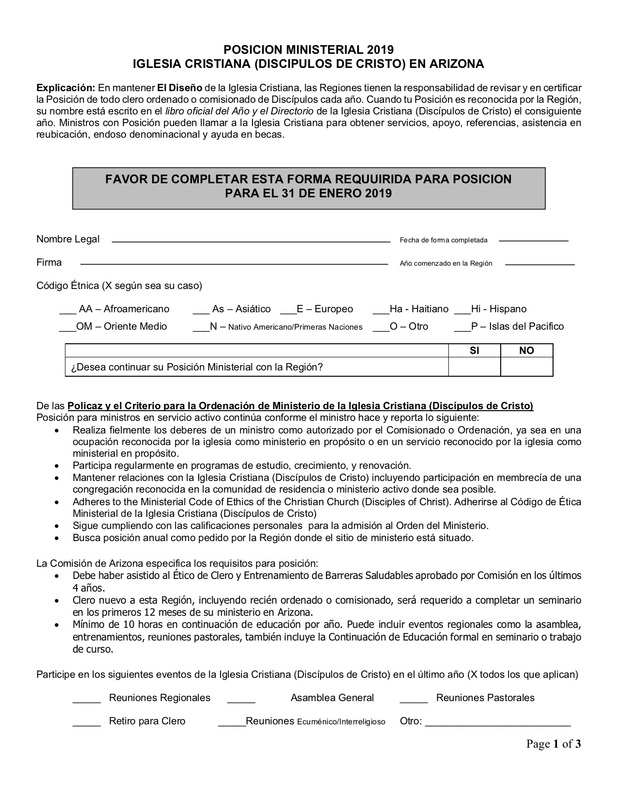 You can complete a paper standing form (click the image to the right to download) or the online form below. The online form might take a few moments to load. If it does not load please click here (or visit https://ccinaz.typeform.com/to/TkKp88) to access it directly. Commissioned Ministers: You must have your ministry supervisor send a letter of evaluation/reccomendation on your behalf prior to January 31st. You will be notified of your next Commission on Ministry interview. 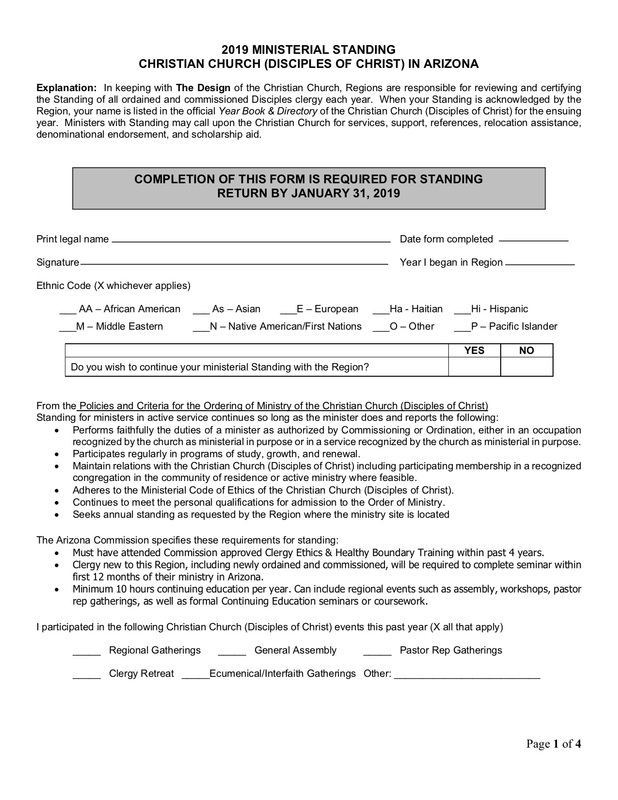 Retired Ministers: Retired ministers not in active service within Arizona are not required to complete a full standing form. We would love however to make sure we have your most recent contact information. You can do so by clicking continue on the online form. When asked, select “Yes” that you are retired and you will jump to a special section to update your contact information.